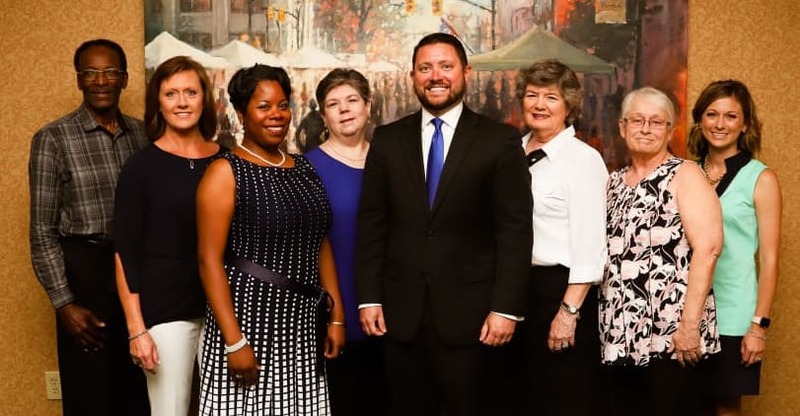 Your Chamber staff is a team of professionals who are committed to improving Wilson and enhancing your membership experience. You can reach any of us by calling the Chamber at 252-237-0165, or scroll down to learn more about how we can help you. Herman Batts is our facilities maintenance technician, who keeps the Chamber's physical plant in a safe, orderly, and attractive condition. 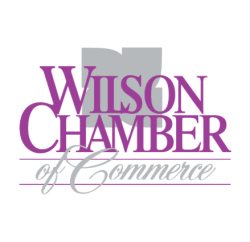 Membership in the Wilson Chamber of Commerce includes the ability to reserve our space in the heart of historic downtown Wilson for a variety of professional purposes. Rebecca Tew is the Chamber's Membership Services Manager, primarily responsible for recruiting new members and integrating them into our community of business professionals. Additionally, Rebecca leads the development of many of our premier events, including the Wilson Spring Expo, and coordinates our popular Ambassadors program. Tia Stewart serves as our Relationship Manager, soliciting feedback from our members and recommending enhancements to our program of work as a way to better serve them. Tia is the first point of contact to schedule your ribbon cutting or take advantage of other benefits, including participation in the Dynamic Leadership Wilson program. Nikita Allen is our Finance Manager, ensuring that the Chamber is a responsible steward of member investments. Charged with the financial review and monitoring of all of our accounts, Nikita is able to respond to billing and invoice concerns related to your membership. Ryan W. Simons is the President of the Chamber. As it's chief executive officer, he directs the Chamber's program of work and reports to the Executive Committee. Ryan also serves as a primary spokesman for the Chamber, communicating it's mission, vision, and values to a number of stakeholder groups. Becky Rose serves as our office assistant, taking on special projects that enhance our service delivery and improve the quality of Chamber programs. Becky attends to many of the details that have become hallmarks of our program of work, and is a reference for connecting the Chamber to other community resources and organizations. Mary Bonta is the Chamber's Office Manager, and is oftentimes the first person to greet visitors to the Chamber. In addition to assisting members and directing the public to Chamber and community services, Mary serves as Clerk to the Board, recording and compiling the business proceedings of the organization. Asia Robinson is our Marketing and Events Manager, connecting our members with a number of affordable marketing opportunities. Asia is able to guide our members to unique ways to promote their business - both print and digital - and is able to customize solutions based on the members need. Additionally, Asia leads events such as the Accelerated Networking Luncheon and our Public Policy Series.